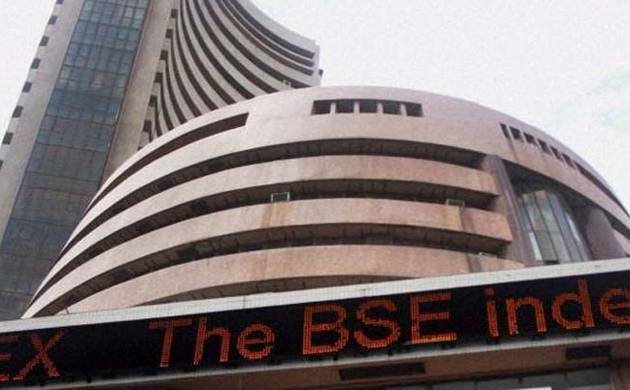 Equities remained under pressure for the second straight day with BSE Sensex plunging 310 points to crack below 28,000, the biggest single-day fall since June 24, and Nifty losing 102.95 points after participants indulged in profit-booking mainly in oil&gas, auto and healthcare stocks. Brokers said the domestic trading sentiment was also dampened taking cues from a lower closing in other Asian markets and a subdued opening on European bourses amid the dollar weakening against the yen after the US government figures showed a decline in productivity. Besides, global oil prices extending losses in Asian trade after industry data showed a rise in US crude stockpiles, supporting oversupply concerns, too had a negative impact on the trend. Brent crude was trading 1.16 per cent down at USD 44.46 per barrel. Resuming higher at 28,133.36, the Sensex touched the day’s high of 28,143.28 following mild buying by participants in selective stocks amid sustained foreign fund inflows. However, the index later slipped into a negative zone to crack below the 28,000-mark and hit a low of 27,736.62 before winding up at 27,774.88, a fall of 310.28 points or 1.10 per cent. This is the lowest closing since August 4. The gauge had lost 97.41 points in the previous session after the RBI maintained status quo in its monetary policy review yesterday.The NSE Nifty also remained under pressure and slipped below the 8,600-level by dropping 102.95 points or 1.19 per cent to close the day at 8,575.30. Intra-day, it hovered between 8,690.10 and 8,564.60. Out of the 30-share Sensex pack, 26 scrips ended lower. Lupin remained the worst-hit, down 3.89 per cent on concerns about its earnings outlook, followed by Reliance Industries at 2.63 per cent. Others laggards included Hero MotoCorp, ICICI Bank, M&M, Maruti Suzuki, Cipla, Tata Motors, Wipro, HDFC Bank, SBI, Asian Paint, Sun Pharma and Tata Steel. Bucking the trend, Adani Ports gained the most by surging 7.93 per cent after the company reported 31 per cent jump in consolidated net profit for the quarter ended June 30. TCS and Coal India too finished higher.